Ukraine’s parliament today (17 November) refused to back a European hate crimes law because its references to sexual orientation and gender violated what many lawmakers said were basic Christian values. Parliament had been due to vote on the ratification of the Council of Europe Convention on preventing and combating violence against women and domestic violence. The so-called Istanbul Convention characterises domestic abuse and discrimination based on sexual orientation as violations of human rights. It was adopted by the Strasbourg-based Council of Europe rights body in 2011 and has been ratified by more than 20 states. 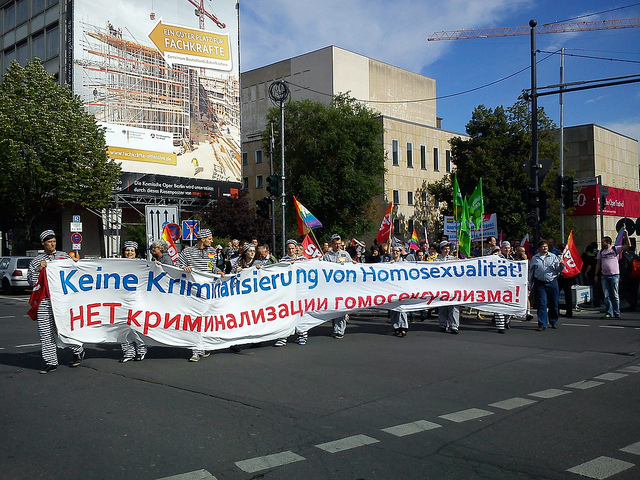 But the former Soviet republic remains a deeply conservative country where Gay Pride parades are often either banned or met with violence from far-right thugs. 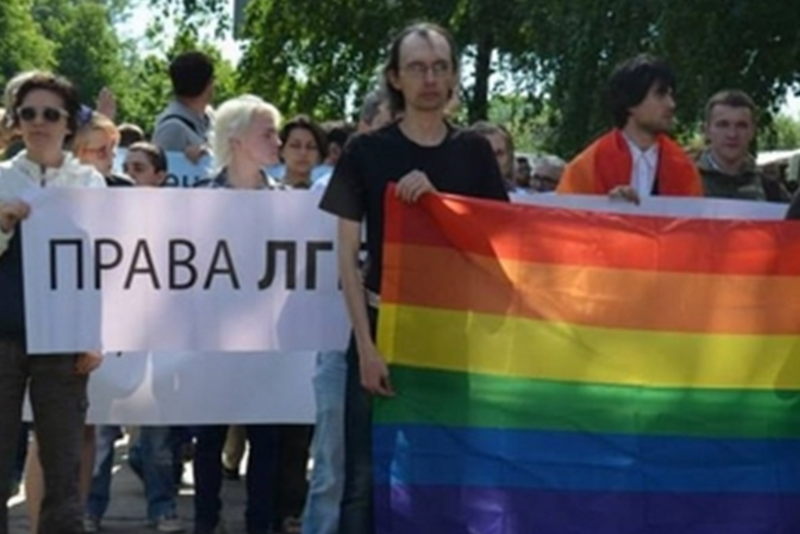 EXCLUSIVE/ The second gay pride demonstration in Ukraine’s history will be cancelled for the second time in as many years, unless promises of police protection are made for the marchers before this Saturday (6 June). Work on the first draft of Ukraine’s legislation was delayed and from now on will include members of the conservative Council of Churches. “The draft law on preventing and combatting violence will exclude references to ‘gender’ and ‘sexual orientation’,” Ukraine’s parliament said on its Twitter account. The short statement came after a high-decibel debate between lawmakers over what constituted Ukraine’s moral values. “The bill is filled with things that are unacceptable to our society,” populist Radical Party member Igor Mosiychuk said. Another parliament member said the mainly Christian Orthodox country should base its values on religious standards that condemn things like gay marriage. “The only matter we should be paying attention to is the position of the Council of Churches,” the loosely pro-Russian Opposition Bloc deputy Yuriy Miroshnychenko said. Pro-Western President Petro Poroshenko – a fierce foe of Russia whose forces are fighting a 31-month pro-Moscow eastern separatist war that has claimed nearly 10,000 lives – has not said whether he backs the original version of the bill. But a member of the president’s party said he also opposed the Istanbul Convention in its current form. “I agree that we must accept many European values – but certainly not the ones that violate the bases of Christianity,” said Yuriy Solovey of the Petro Poroshenko Bloc party. Parliament has not yet scheduled a new hearing and no timeframe for any version of the convention’s ratification has been set. The chamber is led by the pro-EU parties of Poroshenko and Prime Minister Volodymyr Groysman. But some of their members and the more nationalist and populist groups that also comprise parliament rarely adopt unpopular legislation demanded from abroad without putting up a fight. It remains unclear how the Council of Europe will respond if Ukraine eventually ratifies a far more conservative version of the convention that omits some of its basic principles. Ukraine’s parliament yesterday (5 November) scuppered the ex-Soviet country’s chances of visa-free travel to most EU nations by blocking legislation that would have banned discrimination against gays in the workplace. If Ukraine refuses to back European hate crimes law then it in no way fit for Europe . There is not a single word about this vote in Ukrainian media. Of course you don’t want to back a law that introduces hate crimes into your legislation. Why would a victim of indiscriminate violence be any less violated than a victim of a crime motivated by some haram motive? It is totally unjust and an attempt to enshrine left wing politics into law..just to make sure that in the future you can persecute right wing adversaries. It is disgusting.